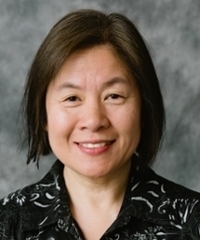 Ping Pian has been teaching in the Department of Modern Languages and Cultures for a number of years. She also teaches or has taught at the Rochester Institute of Technology, Monroe Community College, and the Chinese School of Rochester. As a native speaker from Beijing, she is very interested in inspiring her students to build a solid language foundation to be successful in the global market and the evolution of the Chinese language, particularly between different regions. She is also a freelance translator.